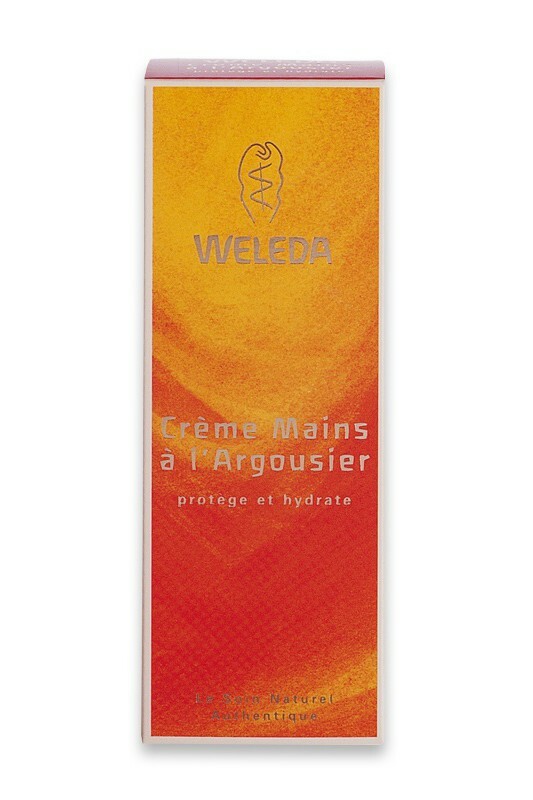 Dry, thirsty hands get replenishing moisture and revitalizing nutrients with Weleda Sea Buckthorn Hand Cream. It’s an intensely nourishing treatment that repairs, restores and protects your hands from skin-damaging elements. Sun-soaked Biodynamic® sea buckthorn oil is packed with essential fatty acids that lavishly moisturize, and pro-vitamin A and vitamin E, which smooth, soften and strengthen your skin. Formulated together with antioxidant-rich organic sesame seed oil, your hands are protected and rendered palpably soft and smooth. With a fast-absorbing texture and a citrusy fragrance, it looks like you have a fresh, solid grip on caring for your beautiful hands. 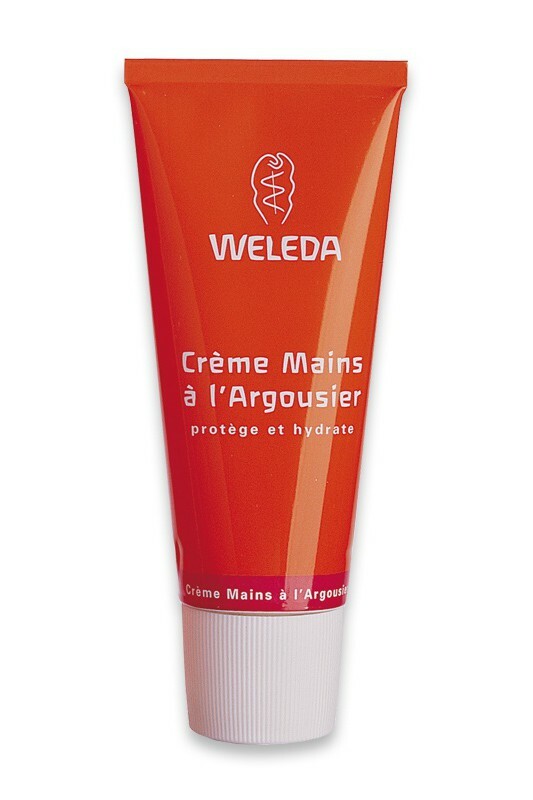 Apply a small amount of Weleda Sea Buckthorn Hand Cream to your hands and massage until completely absorbed. Apply as often as needed. Water (Aqua), Sesamum Indicum (Sesame) Seed Oil, Alcohol, Hydrolyzed Beeswax, Tapioca Starch, Lysolecithin, Beeswax (Cera Flava), Glyceryl Stearate SE, Hippophae Rhamnoides (Sea Buckthorn) Oil, Xanthan Gum, Fragrance (Parfum)*, Limonene*, Linalool*, Benzyl Benzoate*, Benzyl Salicylate*, Geraniol*, Citral*.